Retailers engage their customers with rewards programs and points meanwhile non-for profits engage their donor bases with social media. It’s true. Those who are engaged tend to spend more and they spend more often. There you have it, two examples of engagement that deliver on the title of this post. But how exactly can enterprises leverage the concept of engagement internally with their employees? Christmas Parties? Team Lunches? They deliver and make for instant gratification in the team building sense, but how do you truly engage your workforce on a continuous basis with the values, goals and the work that are the core of your organization? It’s actually quite simple. No, it really is. If you focus on employee engagement you create happy employees. Happy people do happy things. Happy people have fewer workplace accidents, they don’t call in sick as often and their productivity is double that of their disengaged colleague who might call in sick because they woke up on the wrong side of the bed this and (and every other) Friday. We didn’t actually make any of the above up. A few months ago a little company by the name of Gallup conducted a massive survey of over 25 million employees titled “The State of The American Workplace” and the results are just jaw dropping. Did you know that active disengagement is costing the American economy upwards of $450 billion… per year, or that most Millennial workers plan to find a new job within the next 12 months? Neither did I. So what can we as managers and employers do to engage our people? How do we have fewer OSHA recordables, fewer sick days and ultimately, how do we foster and grow happy people? Paying people more works great… for a few months. Which is how long it takes for people to adjust to the increased salary and lose the motivation that came with it. The same adjustment period applies to things like perks, flex time, vacation time and other tactics most of us employ. They are great, in the short run. How do we achieve sustainable engagement? The answer isn’t simple or short, but there is a solution. If we want long lasting results we have to actively engage our employees in a way that is personalized and custom fits their needs and expectations while lining up with factors like their age, tenure and engagement preferences. People should be able to choose how they engage with their work, rather than have “forced fun” that many organizations try to employ in a last ditch effort to engage their teams. 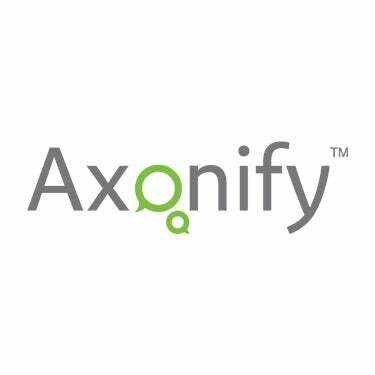 At Axonify, we live and breathe this. The core of our corporate culture and our next generation eLearning platform revolves around active and continuous engagement. We leverage critical elements like points, rewards, gamification, social interaction, cooperation and teamwork to engage employees. Paired with the latest cutting edge brain science from the Rotman Research Institute at Baycrest (a leader in their field) we serve up the best in engagement through training. Last week, Ben Paynter of Fast Company profiled Capital Blue Cross, whose team members have been using Axonify for just a couple of months and with incredible results. I encourage you to take a look at the article and see the direct link between employee training, engagement and measurable results that raise bottom lines. Let me know your thoughts in the comments and tweet us @VedRistic or @Axonify.